Too much fat in the diet promotes insulin resistance by spurring chronic inflammation. Researchers at Washington University School of Medicine have developed a way to block production of fatty acids in these immune cells in mice and protect them from diet-induced diabetes. Newswise, November 7, 2016 — Inflammation is one of the main reasons why people with diabetes experience heart attacks, strokes, kidney problems and other, related complications. Now, in a surprise finding, researchers at Washington University School of Medicine in St. Louis have identified a possible trigger of chronic inflammation. “The number of people with diabetes has quadrupled worldwide over the last 20 years,” said senior investigator Clay F. Semenkovich, the Irene E. and Michael M. Karl Professor and director of the Division of Endocrinology, Metabolism & Lipid Research at the School of Medicine. 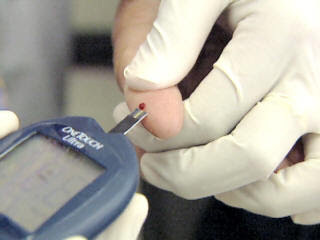 “We have made modest progress in making it less likely for some people with diabetes to have heart attacks and strokes. “However, those receiving optimal therapy are still much more likely to die from complications driven by chronic inflammation that is, at least in part, generated by these immune cells. “An inhibitor of fatty acid synthase actually is now in clinical trials as a potential cancer treatment,” he explained. Washington University School of Medicine‘s 2,100 employed and volunteer faculty physicians also are the medical staff of Barnes-Jewish and St. Louis Children’s hospitals.